Our production Manager John, first gained a BA Hons in fine art painting at Winchester School of Art. After finishing his degree, he first worked as a technician before moving to London to become a display and lettering artist at Simpsons of Piccadilly. He then moved on to work as a prop maker and carpenter for the Royal Opera House in Covent Garden. 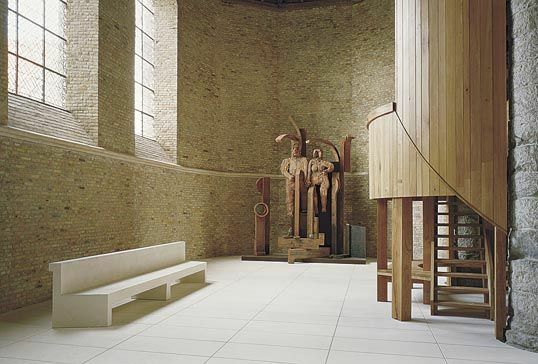 Following his time in London, John moved to Somerset, and joined a team of other expert makers who were commissioned to make a pair of large oak installations for the modernist British sculptor Sir Anthony Caro. The installations were installed into the church of Saint-Jean-Baptiste in Bourbourg, Northern France, seen below. 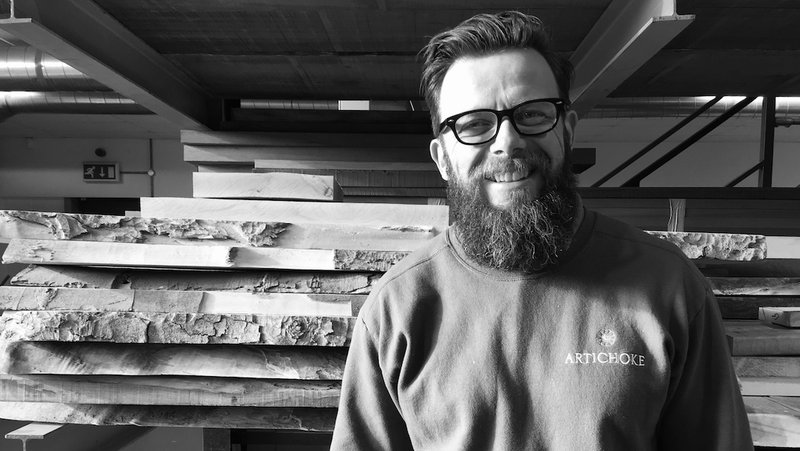 John joined Artichoke in 2011 as a maker and now leads our skilled team in the workshop.